Another week is in the history books, so it’s time to take a gander at some of the notable news you may have overlooked. Of course, if it’s anything truly momentous, you can probably read about it here. Otherwise, press on for a good helping of the bizarre and unconventional. Lots of weird things happened this time courtesy of members of the animal world, be they living, robotic, or inflatable. Even so, they are still no match for us. The oldest-known spider in the world died at the ripe age of 43 following an attack from a wasp. 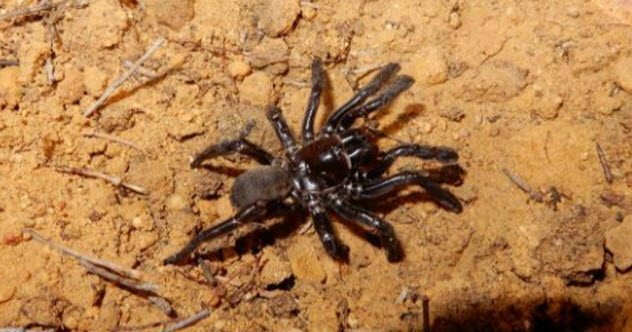 The arachnid, affectionately dubbed “Number 16” by scientists, was a female trapdoor tarantula living in Western Australia’s Central Wheatbelt region. The spider easily exceeded the average life expectancy for its species, which is 5–20 years. She also heartily surpassed the previous record holder, which was a tarantula from Mexico that reached 28 years of age. Researchers found Number 16 in 1974 after launching a study to monitor trapdoor spiders in the region. It was easy to keep an eye on her after that. While males leave their burrows once they reach maturity, females prefer to stay in the same place their entire lives. Scientists credited Number 16 with providing valuable information regarding her species’ behavior as well as helping us to understand the effect of external stresses like climate change and deforestation on arachnid populations. Study lead author Leanda Mason from Curtin University described her team as “really miserable” following the death of Number 16. Controversy enveloped the Wildlife Photographer of the Year Award as one of the winners from 2017 was disqualified for faking his photo. 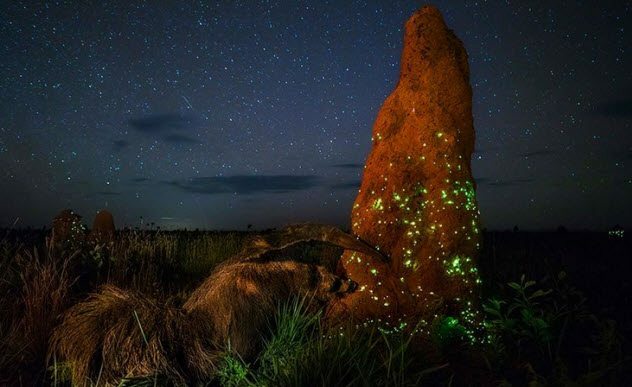 Last year, Brazilian photographer Marcio Cabral won the award presented by the Natural History Museum in London in the category for Animals in their Environment with an image he dubbed “The Night Raider.” Taken in Brazil’s Emas National Park, the photograph depicts an anteater under a starry sky feasting on a termite mound sprinkled with dots of bioluminescence. However, a panel of five specialists ruled that the scene had been staged using a stuffed anteater. Cabral has denied the accusations and provided the panel with his RAW file images taken before and after the winning shot. However, none of them feature the anteater. He explained that the animal stood there just long enough to get a single long-exposure shot. 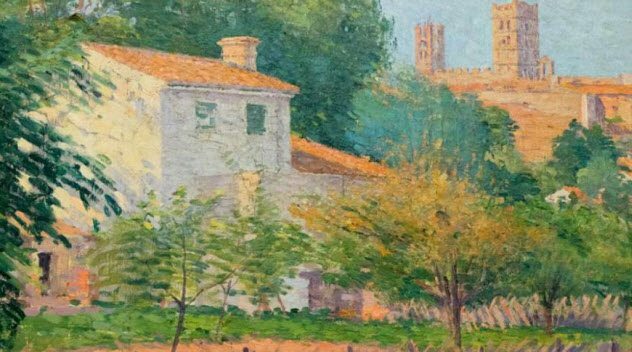 Speaking of fakes, curators of a museum in France were left stunned when they discovered that half of their collection consisted of forgeries. The gallery is located in the southern commune of Elne and is dedicated to the town’s most acclaimed local artist, painter Etienne Terrus. This was supposed to be the museum’s time to shine. It had just reopened after undergoing extensive renovations and had also secured 80 new paintings. However, when they brought in art historian Eric Forcada to help organize the recent acquisitions, he determined that around 60 percent of the whole collection was fake. According to Forcada, the counterfeits weren’t particularly well-done, either. He spotted anachronisms such as buildings and landmarks that weren’t around during Terrus’s time. The cotton supports didn’t match the canvas used by the artist. On one painting, the signature was easily wiped off by passing a glove over it. Overall, 82 of 140 works were forgeries. Elne’s Mayor Yves Barniol described the situation as a “catastrophe for the municipality” and promised that an investigation would reveal the culprits. 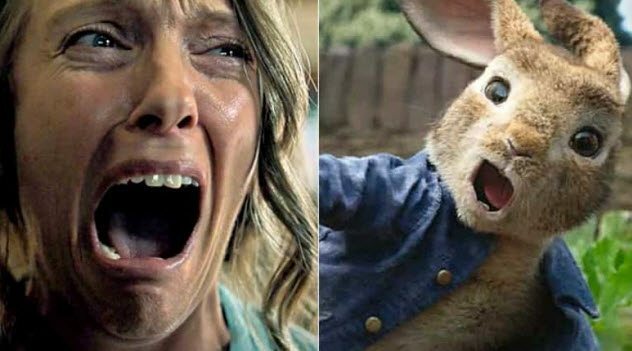 A cinema in Australia decided to traumatize a bunch of children for Anzac Day by showing a trailer for the R-rated horror film Hereditary before a screening of Peter Rabbit. Many families took advantage of the public holiday by going to see a movie. The Event Cinemas theater in Innaloo, Perth, was filled with at least 40 children waiting to see a PG film about an animated rabbit and his friends. The lights came down, and a reel of advertisements began to play. Curiously, the first trailer was for a movie called Hereditary. It made its debut at the Sundance Film Festival and has been hailed as one of the scariest horror films in years. The scenes included in the trailer featured a man on fire, a boy smashing his own head into a desk, and a girl cutting a dead pigeon’s head with scissors. Parents tried shouting at the projectionist to stop but received no reply. Some covered their children’s eyes while others grabbed their kids and ran out of the theater. Eventually, a senior staff member shut off the film. The remaining audience members received an apology and complimentary movie passes. The people of Des Moines, Iowa, were besieged last Tuesday evening by a giant inflatable rubber ducky roaming the city streets. 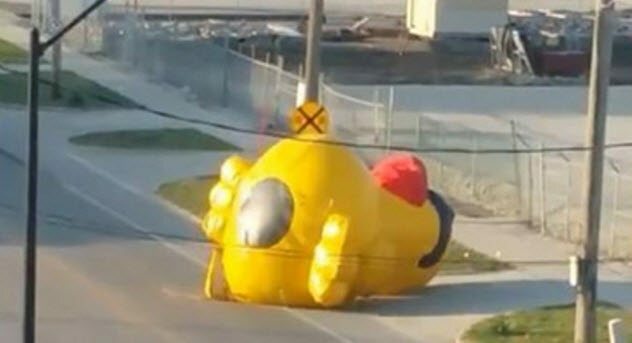 Residents watched in “horror” as the runaway duck mildly inconvenienced motorists on Southeast Sixth Street. The inflatable animal named Quacky was owned by Youth Emergency Shelter and Services (YESS). He was on display in the city to promote the organization’s upcoming 11th annual Duck Derby—a race in which 37,000 rubber ducks will be released into the lake to raise funds for kids in crisis. It is possible that we might finally see The Man Who Killed Don Quixote at the 2018 Cannes Film Festival. 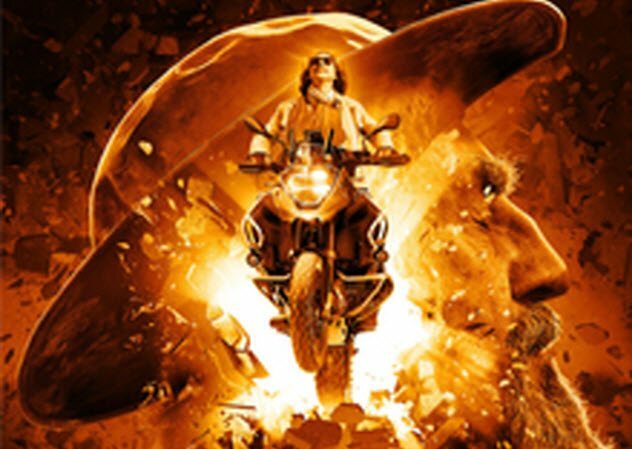 However, the infamously plagued production hit another obstacle as a former producer has taken filmmaker and ex-Python Terry Gilliam to court to prevent its screening. The movie is a notorious example of development hell—a term used to refer to films stuck in preproduction for long periods of time. Gilliam started work on The Man Who Killed Don Quixote in 1989 with Jean Rochefort and Johnny Depp as the leads. Filming was delayed and eventually canceled due to a series of problems including Rochefort falling ill, issues with insurance and financing, and a flood destroying sets and equipment. The not-making-of was even the subject of a documentary called Lost in La Mancha. That was in 2002. Over the next 15 years, Gilliam tried and failed to make the film seven more times. Then, in March 2017, the director unexpectedly announced that filming had begun. The Man Who Killed Don Quixote was finished earlier this year, and it was announced that the movie would close this year’s Cannes festival. In April, however, movie producer Paulo Branco claimed that he owns the rights to the film. This is due to a deal in 2016 when he gained the rights in exchange for securing financial backing. He failed to do so, however, and Gilliam considered their contract invalidated. Last week, Branco told Cannes officials to pull the film from its lineup. This week, they announced the festival will proceed as planned. The legal battle rages on, and it’s too early to tell if The Man Who Killed Don Quixote will finally see the light of day. 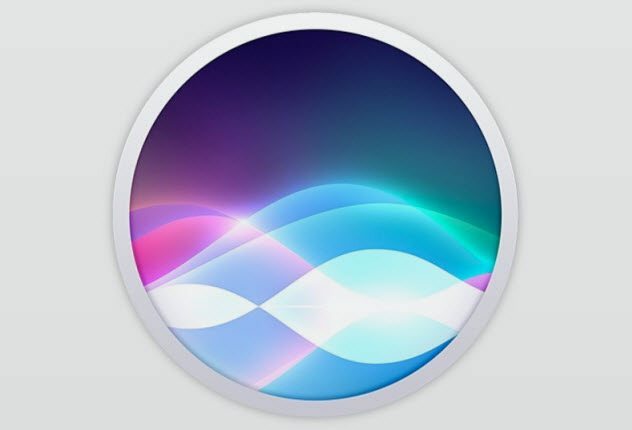 Apple’s virtual assistant, Siri, has become one of the defining features for the company’s products but also one that has encountered its fair share of hiccups. They included issues with comprehension, poor language support, and a lack of innovation. However, over the weekend, the latest and, arguably, oddest problem went viral as Siri developed a potty mouth. The issue was first reported on Apple’s subreddit, and since then, many users have confirmed it on their own devices. The problem seems to stem from the online Oxford Dictionary which Siri uses to define words. It has four other definitions containing the common meanings of the word “mother” but also offers the aforementioned “naughty” definition that it denotes as “vulgar slang.” Siri, however, seems to ignore this descriptor. 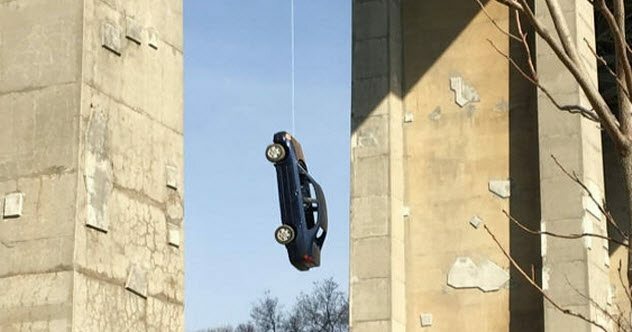 Toronto authorities are still puzzled by a discovery made Wednesday when morning commuters reported a car dangling from a cable off the Leaside Bridge. First thoughts suggested some kind of bizarre accident, so all major emergency services rushed to the scene. There, they discovered that the blue sedan had been gutted of its interior and engine and the area had already been cordoned off with yellow tape. The fire department got the car down a few hours after arriving on scene, but its source is still a mystery. It is possible that it came from an unscheduled film shoot or some kind of outside art installation. However, the likeliest scenario says that it was a prank. Engineering students from the University of British Columbia have pulled off this stunt several times in the past. Local students from the University of Toronto and Ryerson University denied involvement. French President Emmanuel Macron was on a diplomatic trip to Australia this week which ended on an odd note. During a press conference, he thanked his welcoming hosts, especially Australian Prime Minister Malcolm Turnbull and his “delicious” wife. In a later statement, Prime Minister Malcolm Turnbull described Macron as a “friend of Australia” and labeled his visit a great success. He also acknowledged the gaffe, saying that his wife was “very flattered” by the president’s compliment. In 1998, Sony introduced Aibo, the robotic dog. It sold 150,000 units before discontinuing the line in 2006. Customer support was gradually withdrawn afterward, and Sony stopped offering repair services in 2014. Since then, customers have turned to A-Fun, a Japanese electronics repair company specializing in vintage products, to keep their beloved robotic pets alive. However, since nobody made Aibo components anymore, A-Fun relied on people sending in their “dead” pooches to scrap them for parts. The company preferred to look at the defunct Aibos more as organ donors. It even held funeral services for them before harvesting their components. In fact, the largest funeral of its kind just took place last week. 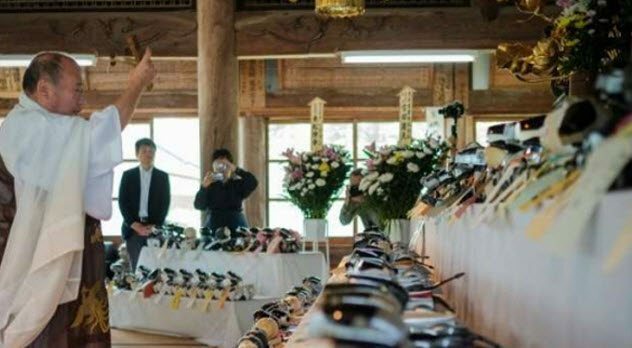 A Buddhist priest bid farewell to 114 Aibo dogs at Kofukuji Temple in Nara. According to A-Fun CEO Nobuyuki Norimatsu, this allows the souls to return to their owners and the robodogs become simple machines which can be used for parts. Read more offbeat stories you might have missed from April 28, 2018, and April 22, 2018.